I really do love a dusting powder, although it pretty much is just a very nice smelling talcum powder. But there is something about them that I find very indulgent and tend to use a dusting powder when I really want to pamper and treat myself. There are quite a few dusting powder out at the moment. But I was really happy to find that first snow would be making an appearance again this Christmas. First snow looks like a little bottle of ‘snow’. I think the whole bottle is so Christmassy. It is a beautiful pure white colour and contains a good helping of lustre with adds a stunning shimmer to your skin. 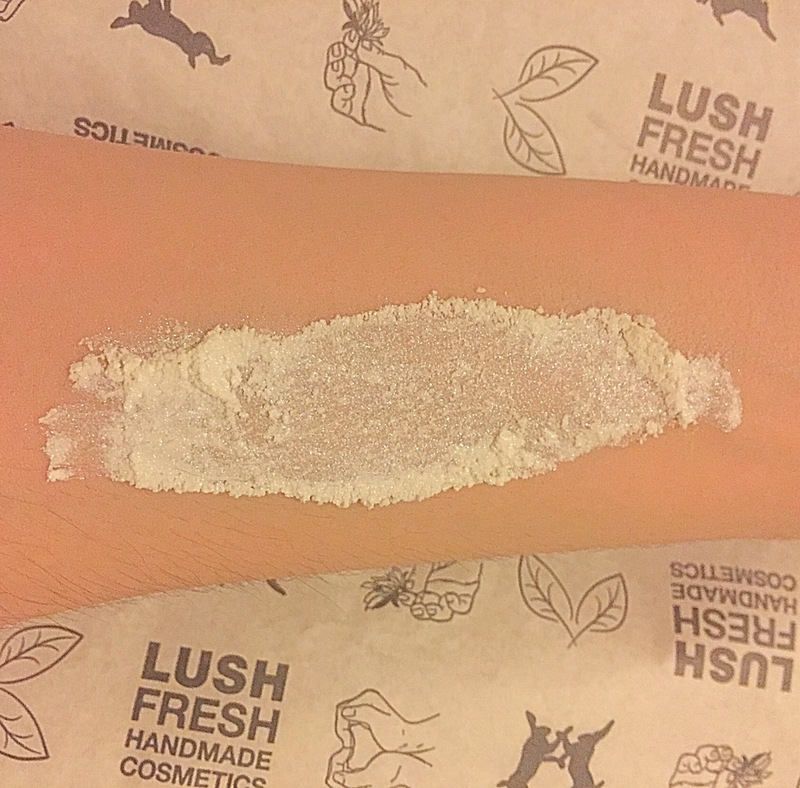 If you arnt a fan of glitter this might not be the product for you, as lush its self describes it as a sparkling dusting powder and says leaves skin looking like it’s been kissed by a twinkling snow flake. 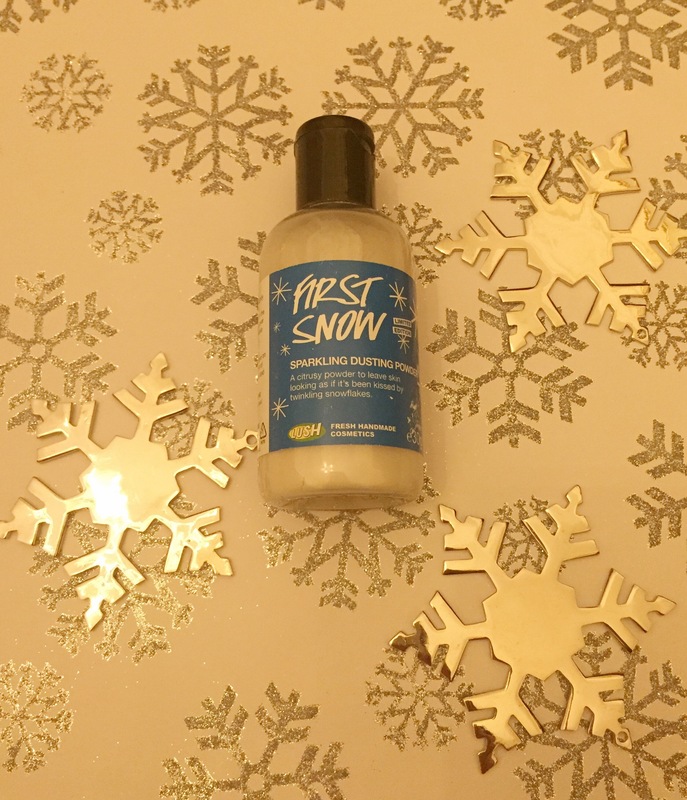 First snow dusting powder has quite a light scent to it and isn’t to overpowering. Containg lime oil, orange oil and cognac oil, this dusting powder is very citrusy. I personally think it smells quite orangey and fruity. It is very similar in scent to celebrate body lotion. 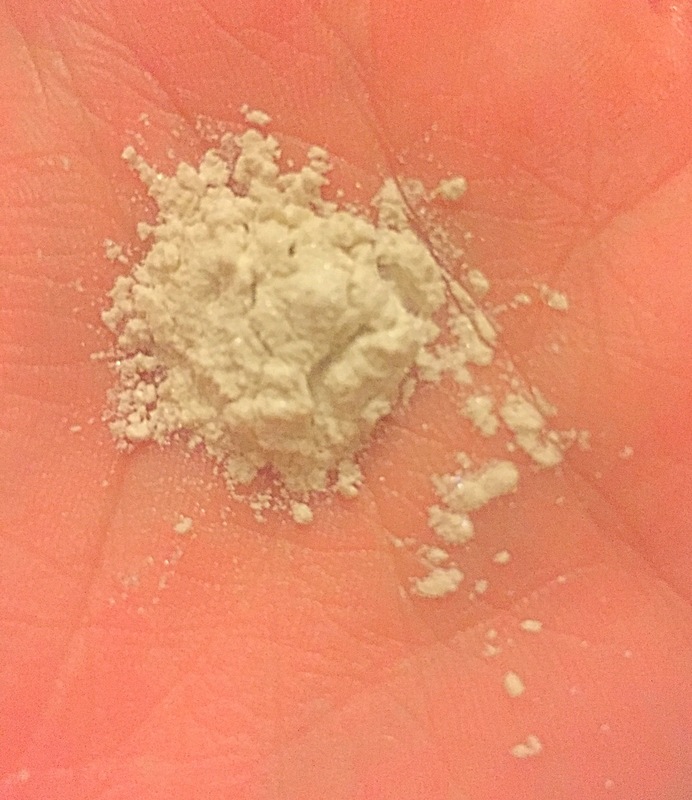 I have found due to its white colour and its powder consistancy it can be a little messy and if you have anything black near by it might leave a few marks ( yes I did get it all over my partner suit that was hanging up). So I have found rather than using it straight from the bottle it is easier to put a little in you hand and then rub into skin. Overall I really enjoyed using this product and love is light uplifting scent. Top tip – sprinkle on collar bones to add a little glamour to any outfit. Ingredients – Cornflour, Snowflake Lustre, Magnesium Carbonate, Talc, Geopearl crystal glittering rainbow, Perfume, Sweet Orange Oil, Cognac Oil, Lime Oil, Citral, Limonene, Citronellol, Linalool.